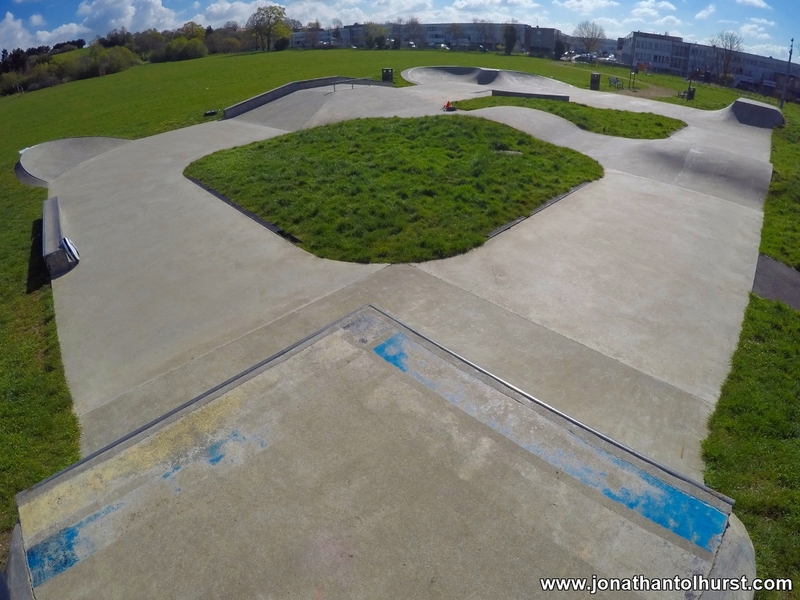 Today I headed out to Pollards Hill skate park near Norbury and Mitcham in South London. After taking the train to Norbury it took me some time to find and reach the skate park which is situated in a field below Pollards Hill. Pollards Hill affords great views over South London and hosts a Triangulation point. This skate facility is perfect for electric unicycling with a good selection of ramps, slopes, ledges and transitions, although the park in which it was located was very poorly maintained. I took a couple of my latest flatland tricks to the slopes with good results (step-off-step-on to fakie, and double and triple slope spins). Later on in the day I grabbed half an hour down at Wandle Park in Croydon to film a raised wall roll.